We’re still reeling from a brilliant weekend spent at the Olympia Beauty Show in London this October. 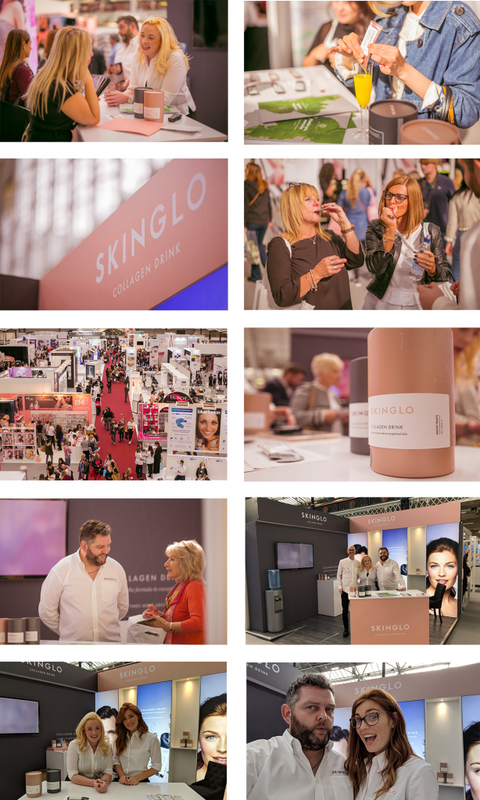 A jam-packed two days gave us the opportunity to officially launch SkinGlo, connect with customers and have people give their honest opinion on our revolutionary new skincare drink. Olympia Beauty is Autumn’s biggest beauty show for professionals, showcasing everything from spa treatments to the latest skincare innovations. Their 14th year proved to be their biggest one yet, with nearly 20,000 beauty industry professionals visiting over the course of two days. We decided to showcase SkinGlo to the masses, handing out free samples for people to taste and giving them additional sachets to take home with them. We had lots of interest, with the entire team working hard to ensure all questions were answered and all samples given out. We even had our beautiful model & face of SkinGlo, Melissa, join us to interact and talk about her experience with SkinGlo so far. Check out our video diary to see some of the amazing feedback we received! Here are some images taken from the day, too! A special thanks to all those who visited us – we can’t wait to hear your feedback!